A water filter system from RainSoft will address your home water quality issues. A leading manufacturer of home water treatment solutions since 1953, RainSoft remains committed to offering homeowners the finest systems backed by outstanding customer service and protected by Limited Lifetime Warranties. At RainSoft, we offer each customer a customized problem-solving water filter system because the water supply in every home is different, and there is no one-size-fits-all solution. Municipal water is carried through a maze of pipes – some old, some new – before reaching your home. Additionally, a water main break can introduce contaminants into the water supply. Or, perhaps you get your water from a private well that is fed by ground water, which can contain traces of naturally occurring minerals. Other contaminants can result from nearby pesticide use or bleed from underground fuel storage tanks. All of these factors can affect the composition of your water. 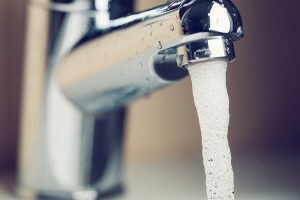 Therefore, before considering a water filter system for your home, it’s best to have your water professionally tested. A highly trained and experienced water treatment professional from RainSoft will be happy to provide a complimentary, in-home water test. Then, if we determine that your water requires treatment, you can rely on us to help you choose from among our high-quality products and recommend the best system to meet your needs. Contact a local authorized RainSoft dealer today to learn more about the advantages of a RainSoft water filter system.